Magna was able to post record numbers despite a two per cent decline in light-vehicle production in North America and essentially unchanged production numbers in Europe. Global auto parts giant Magna International posted record net income of $660 million in the first quarter of 2018, up 14 per cent from a year ago. Magna got one of its biggest a boosts from higher demand for its mirrors and electronic components. The supplier's power and vision division posted adjusted earnings of $358 million, up $30 million over the same quarter last year. It was the biggest adjusted earnings increase of all four of the supplier's divisions. The company also reported record quarterly sales of $10.79 billion, up 21 per cent year-over-year, due in large part to the company’s contract assembly business. 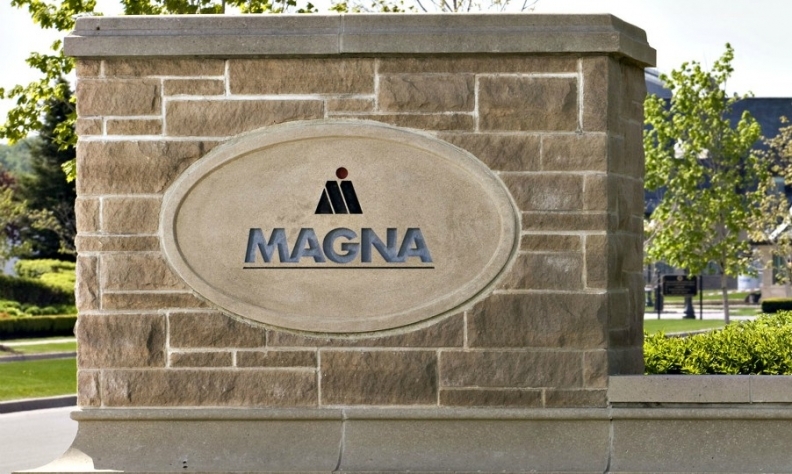 While Magna reported sales growth in each of its operating segments, the company’s “complete vehicle segment” contributed to approximately 60 per cent of the sales increase. Sales in that segment, which sees Magna assemble cars under contract for auto manufacturers, rose more than threefold to $1.66 billion. Magna has been building the Mercedes G class since 1979. It also produces BMW 5-series models with conventional and plug-in hybrid powertrains. Assembly of the Jaguar E-Pace started in late 2017, and production of the I-Pace was added during the first quarter of 2018. In March, Automotive News Europe reported that Magna also will build two new sports cars jointly developed by BMW and Toyota. Magna declined to comment. The company was able to post record numbers despite a 4.4 percent decline in light-vehicle production in North America and essentially unchanged production numbers in Europe when compared with the first quarter of 2017, according to the Automotive News Data Center. Light-vehicle production in China was up 1 percent, Magna said. The company also said the strengthening of foreign currencies against the U.S. dollar, including the euro, Canadian dollar and Chinese renminbi, helped the supplier make financial gains but that those were partially offset by the impact of changes in production volumes on other programs, particularly in North America and Europe. “Our operating results are primarily dependent upon the levels of North American and European car and light truck production,” Magna said in a statement. Sales were up in Magna’s body and structures ($4.61 billion), seating systems ($1.47 billion) and power and vision ($3.19 billion) divisions. In December, Magna realigned its divisions and created four global product segments. This was the first time the company reported quarterly sales and earnings for each unit. Meanwhile, Magna CEO Don Walker said automakers will move more production offshore if changes to NAFTA make it too complicated, echoing a similar warning from Canada’s foreign minister. Walker, speaking Thursday at his company’s annual meeting north of Toronto, said any revised North American Free Trade Agreement has to encourage long-term investment and that the sector favors a “do no harm” approach. “The end objective is NAFTA has to be competitive because we’re in a global industry, and every country in the world is trying to attract automotive,” he said. Walker spoke as NAFTA negotiations continue in Washington in a push to reach a deal this month, in time to pass it through the current U.S. Congress. Ministerial negotiations have focused on auto rules, with countries looking set to raise the share of a car that must be built domestically to be traded under NAFTA, while also potentially expanding the amount of parts whose origin must be tracked. “I just hope they don’t put so much administrative burden on us that it costs a fortune to track it all,” the Magna CEO said. The U.S. wants almost half of every car be built by workers making at least $16 an hour, a demand that Mexico opposes given its labor costs are lowest among NAFTA nations. Canada is open to the idea, but the issue remains in flux as talks continue. Foreign Minister Chrystia Freeland, who is Canada’s lead minister on the file, also warned against adding too much regulation under a new NAFTA. If that happens, she said automakers could just not bother and instead pay tariffs, which are relatively low. “Making a mistake could mean burdening companies with far too much red tape, something that’s too cumbersome, that makes North America less competitive compared to the rest of the world. That’s certainly an issue that I’m very focused on,” Freeland told reporters Wednesday in Washington, in comments aired by the Canadian Broadcasting Corp.